Well, to beat the blues this week I had a lot of fab things happen. A few I can tell you about and some I can’t-yet. 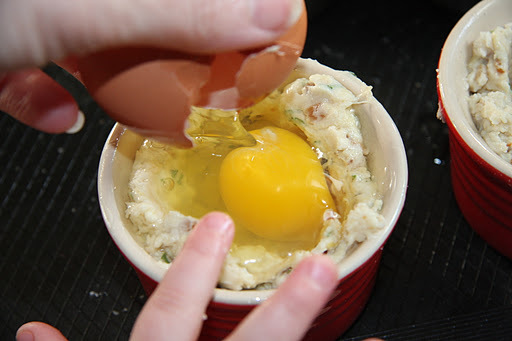 1) I’m guesting over at Vanessa’s gorgeous blog today lifeinthethriftylane and I invented a new breakfast recipe that is guaranteed to make a person happy. I got one for me and one for one of you! 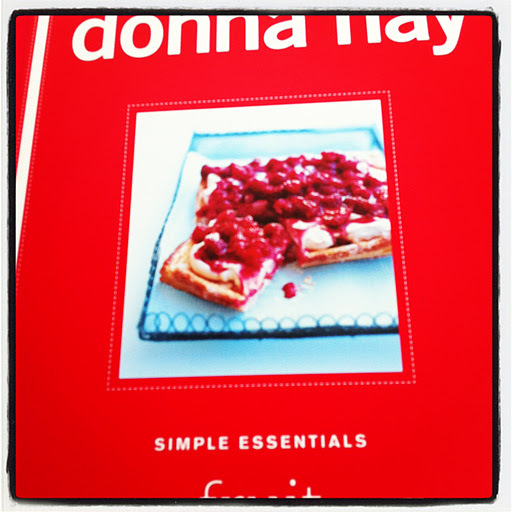 I don’t think Donna Hay or her team have ever written a bad recipe and the pictures alone will make you swoon. How’d you fare last week? Hope that the sun peaked out at you OR if it is summer for you right now you just basked in it. 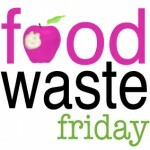 This week I actually wasted nothing BUT I had two bags of milk just go off on me. They were within their “use by” date, they hadn’t been out of the fridge and when they were opened? Rather gross cheese. Well, I’m not taking the heat for those and I’ve contacted my organic dude about them. But enough of the bad, how about a nice dinner? 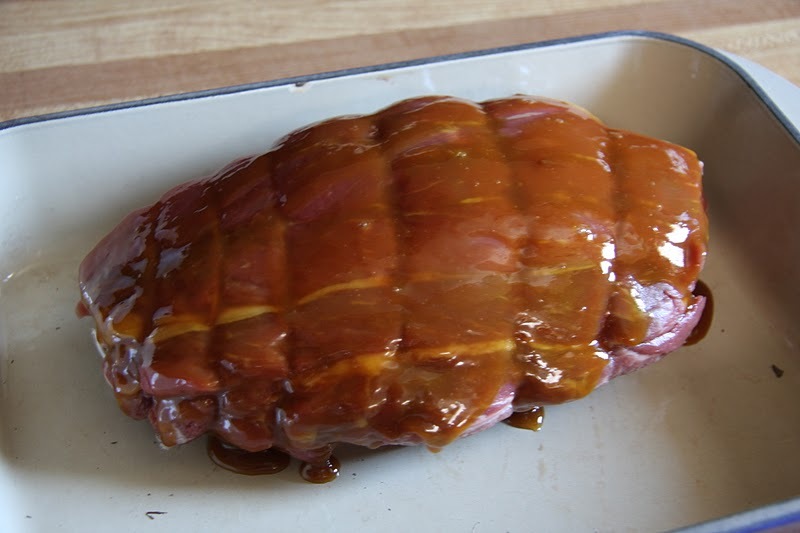 I’ve got a little roast that I’ve coated in honey mustard. He is going to be the star of the show. But I’ve got a lot of veg right now and if I want to avoid a long and morose posting next week I had better use them up. Maybe it is time for the understudies to take over as the stars? 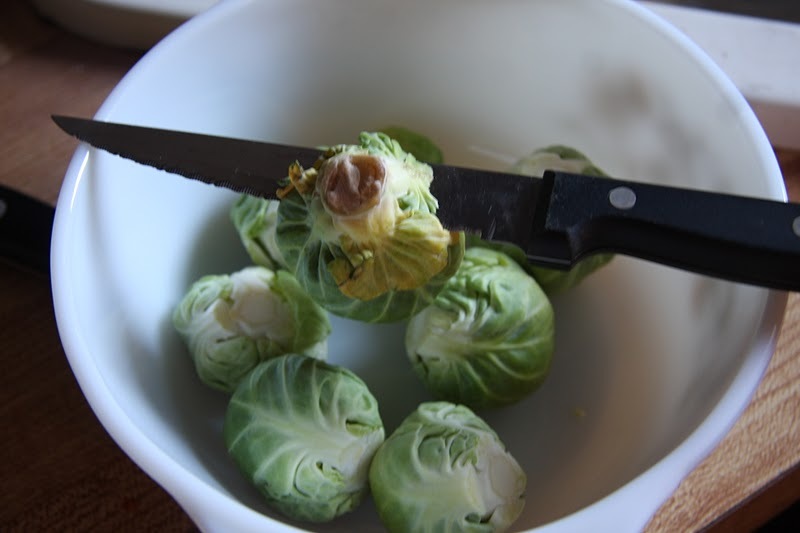 Start by trimming 3 cups of brussel sprouts. 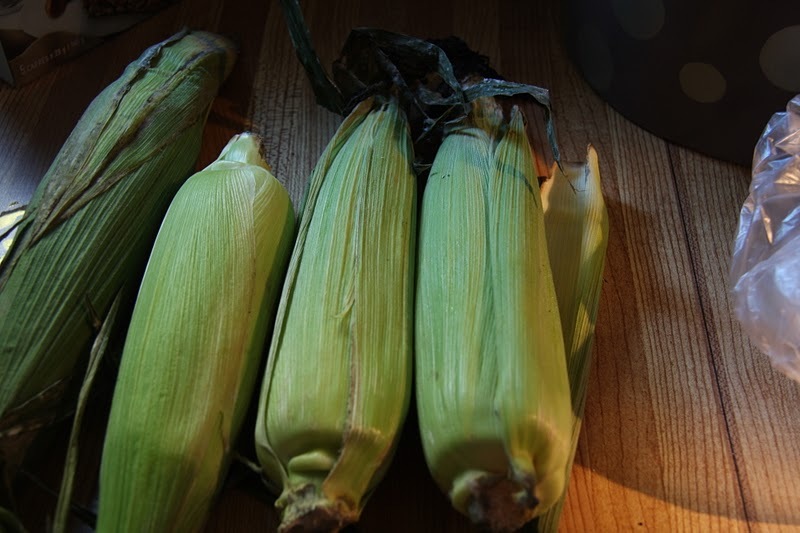 Peeling four cobs of corn (these are actually from a sustainable, greenhouse in my area). 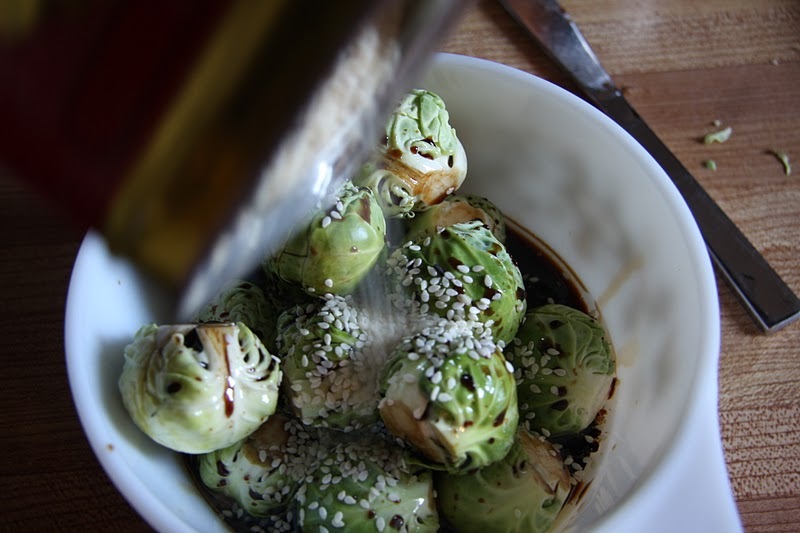 Add 3 tablespoons of sesame oil. 1 T. sesame seeds and 3 T. soy sauce. 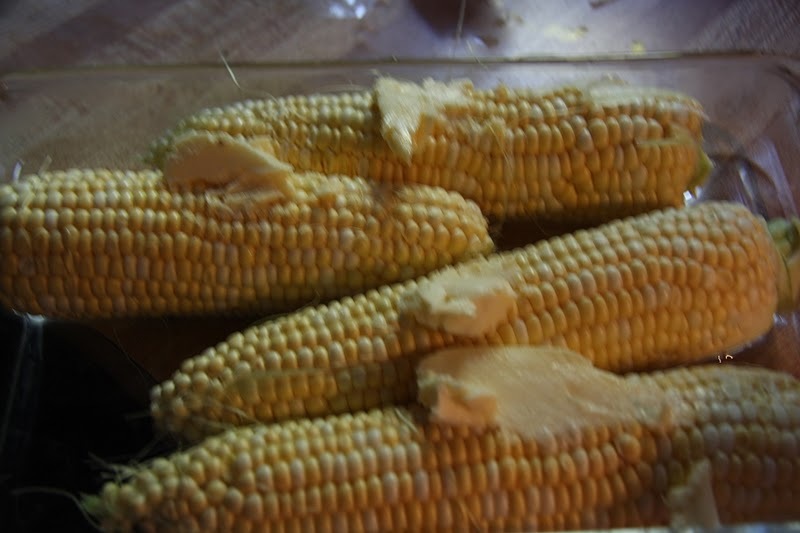 Place the corn in a baking dish and butter add a few tablespoons of water too. This will let my corn taste like it is roasted outside and we’re in the middle of summer. 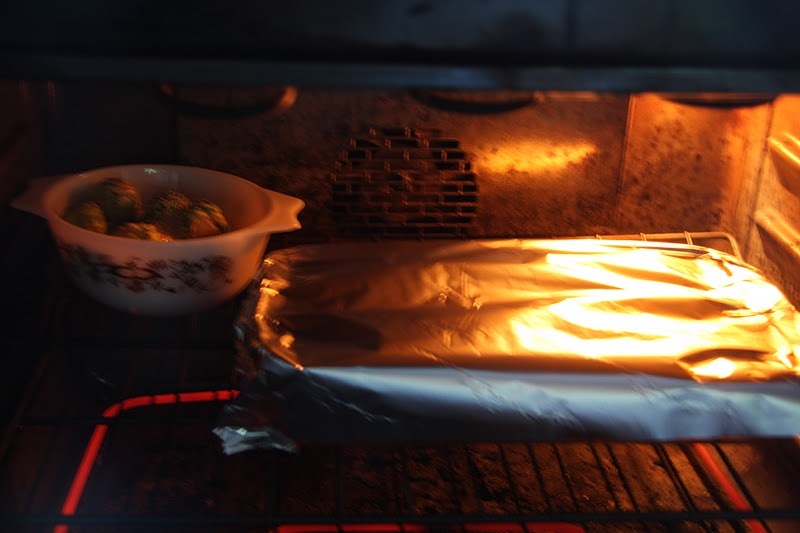 Cover with foil and roast both for 30 minutes at 350. Hope to see you tomorrow at my “Beat the Winter Blues” Party and get your romantic ideas set to party with on Monday. Do you like whipped cream? Well of course you do. 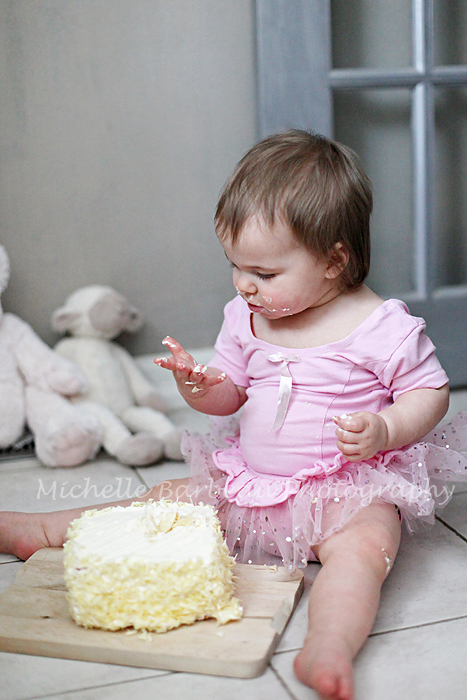 How about custard and cake and fruit and chocolate? 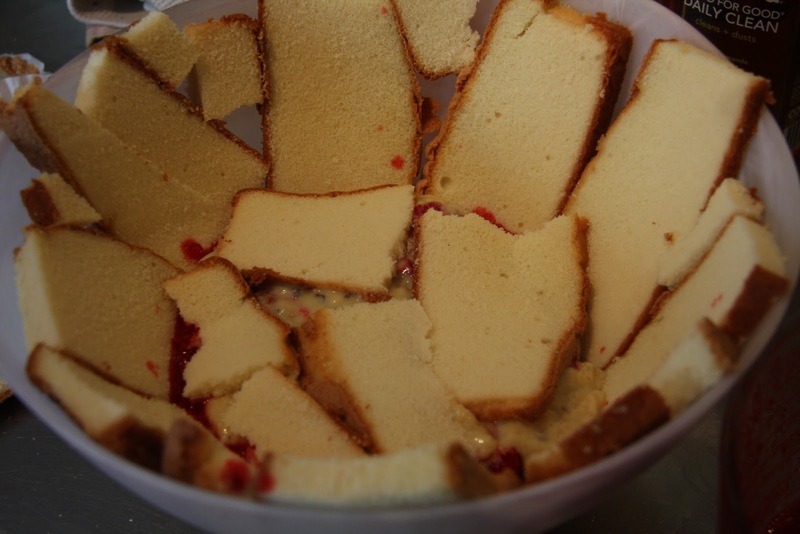 Now all those together=very easy trifle. Find an excuse to make this. Like it’s Saturday or the sky is grey or the sky is blue or…you matched your socks that morning. This will be the hardest part of the whole procedure. 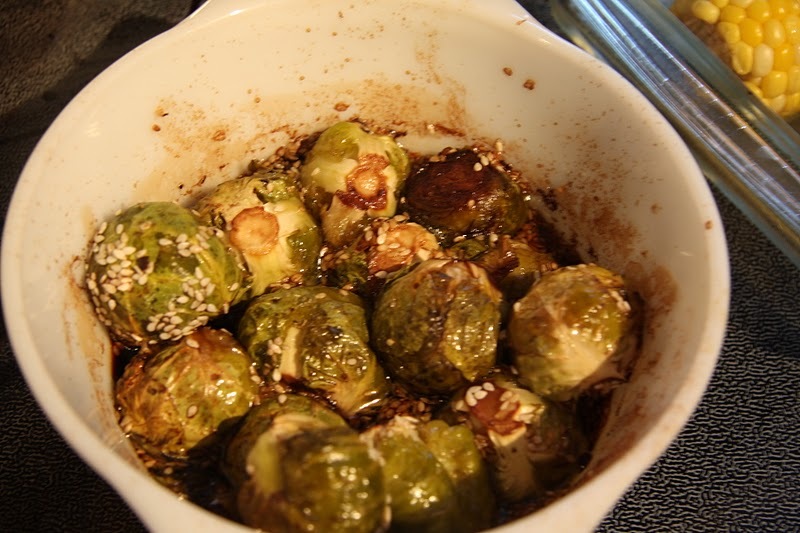 I have a really easy recipe that can be made anytime and has a lot shortcuts. 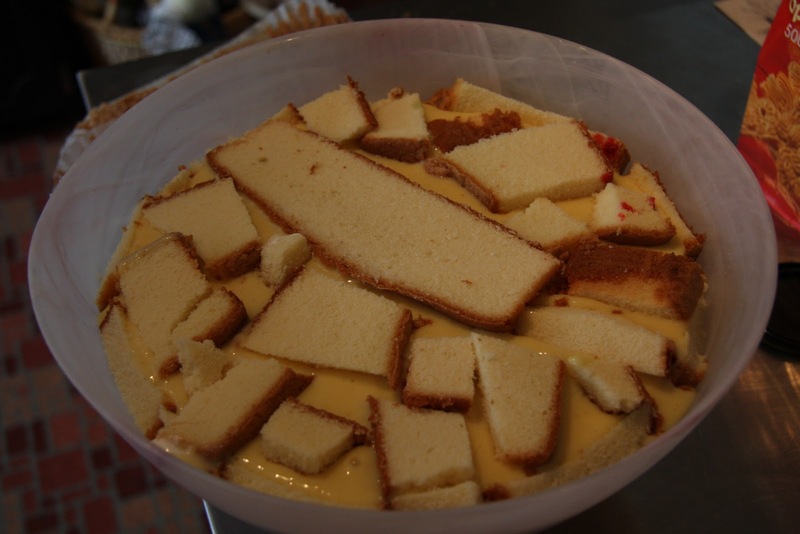 A friend’s mom used to make this and it took me years to convince her to tell me her secrets. I couldn’t believe it when I found out how easy it was to make. Feel free to keep it to yourself too. This can be your new go to dessert. Shortcuts are good, shortcuts mean that you get trifle sooner. I made a batch of custard, my first cheat is that I used Bird’s custard powder and added a shot of my homemade vanilla to it (2 cups in all). 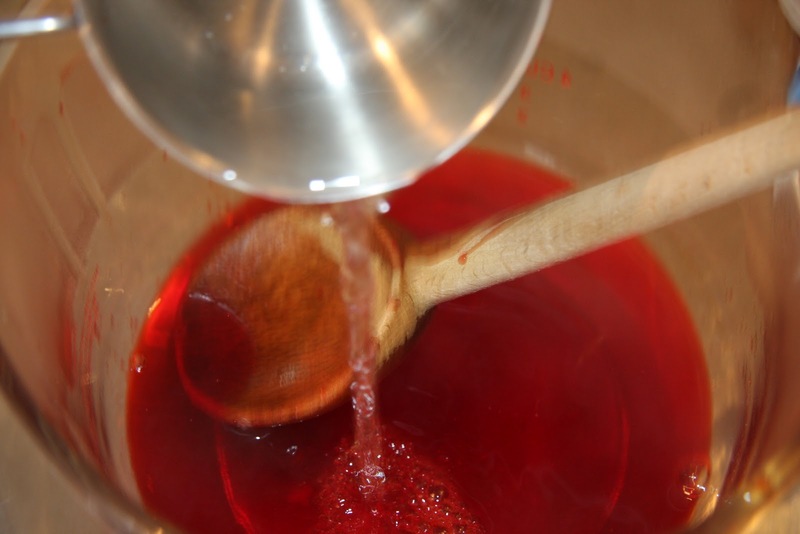 Then dissolve one package of raspberry jello. 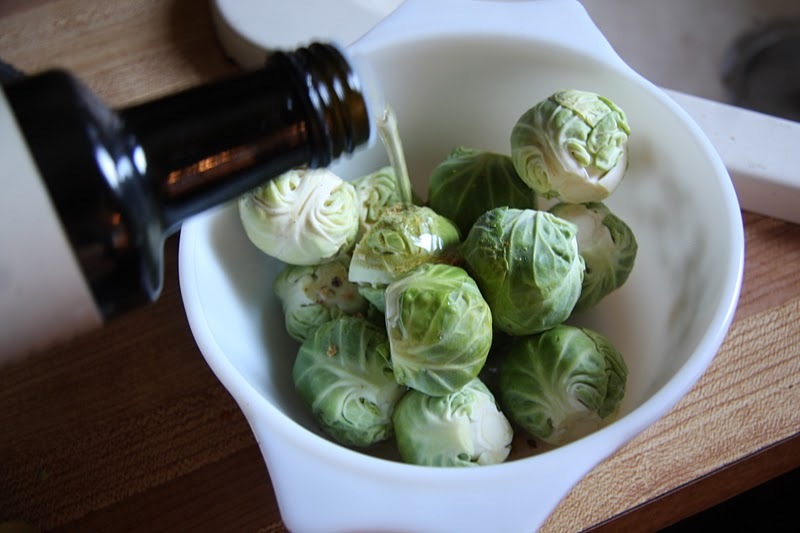 Mix with 1/2 cup hot water and when it’s disolved 1/2 cup cold water. 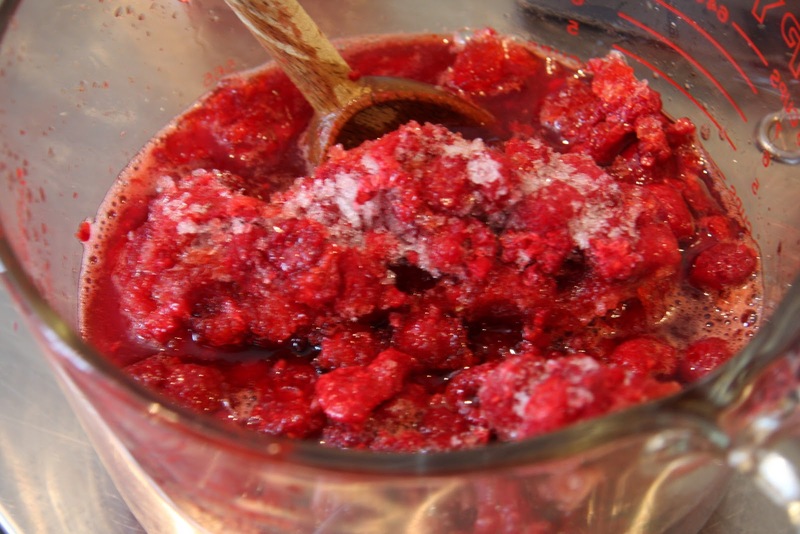 Add 3 cups frozen raspberries and mix. 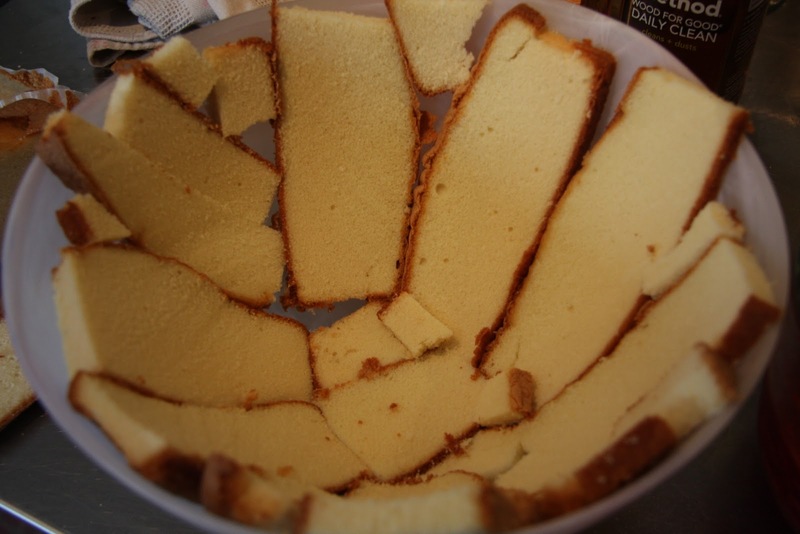 Take a really big bowl and line with thin slices pound cake-I even bought two cakes for this wonderful project. If you are wanting to you can also soak the cake in sherry but since I cook for small one now, alcohol that doesn’t get cooked out just doesn’t work for me anymore. Honestly, all the other good stuff makes the sherry a bit unnecessary. 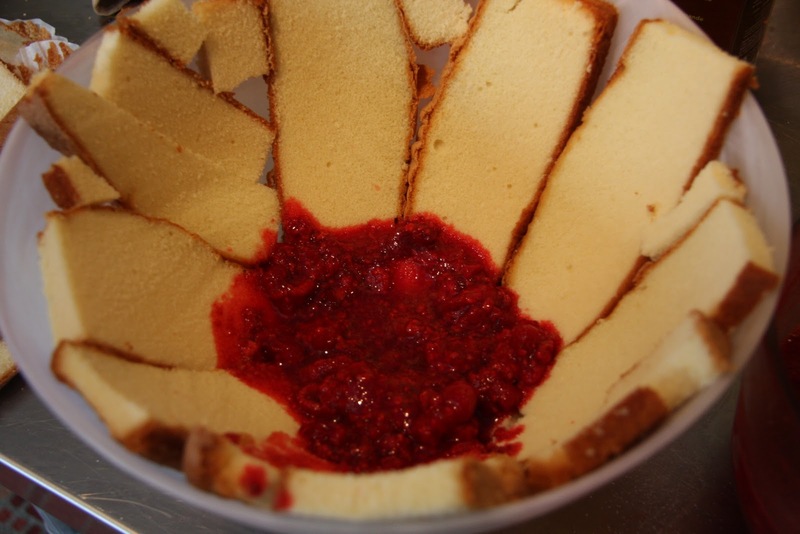 Add 1/4 of your raspberries, 1/4 of your custard and top with more cake slices. Repeat until you’ve used up all your ingrients. 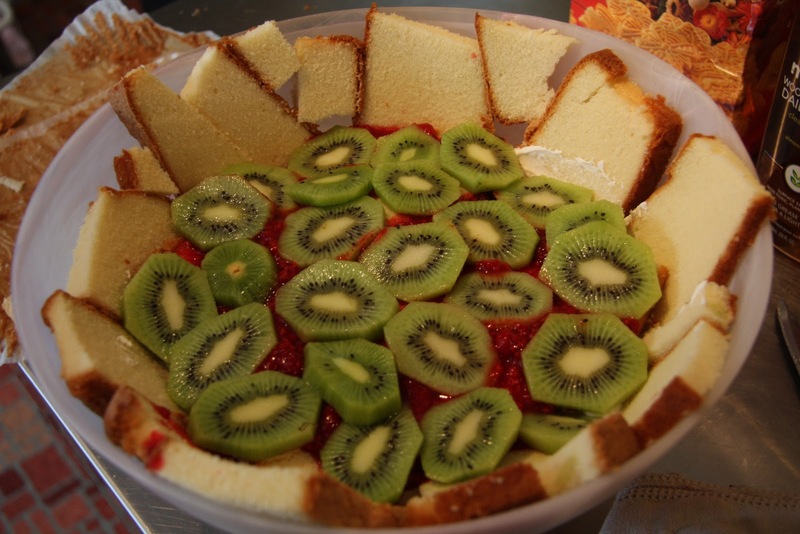 I also like to add a bit more fruit into the mix (berries, slice kiwi…) on one of the layers to make myself feel a bit more virtuous. You know, because I’m eating lots of fresh fruit. 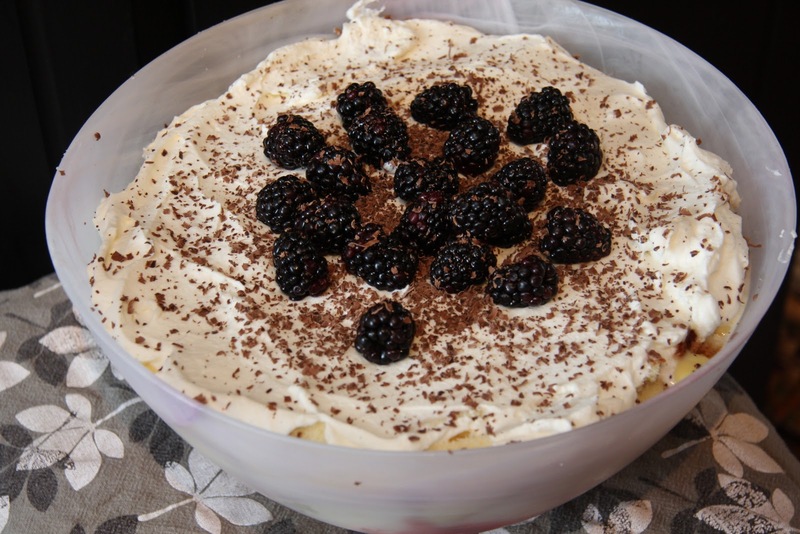 AND a huge layer of whipped cream (sweetened with a bit of icing sugar), berries and shaved chocolate. Now keep the secrets to yourself and just accept the accolades OR just eat it all yourself. Do you live in my neck of the woods? Just in case you aren’t aware, I’m lucky enough to live in Canada’s Capital-Ottawa. Family friendly city with lots to do and see AND an especially amazing photography who happens to be one of the best friends that a girl could wish for. Have you seen her work before? I bet you have if you’ve been on this site. 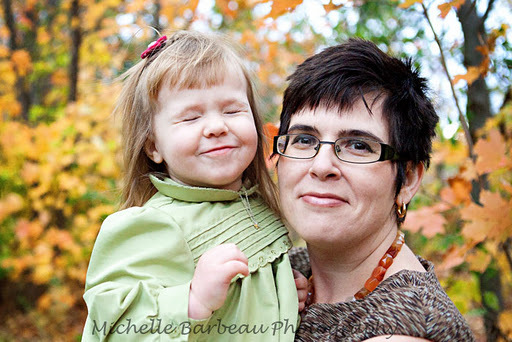 The lovely Michelle is holding a contest on her blog right now.